Does your daughter invite her stuffed animals to afternoon tea sessions? If she loves dressing up and playing pretend, you can turn her imagination into a reality by hosting a fancy birthday party. 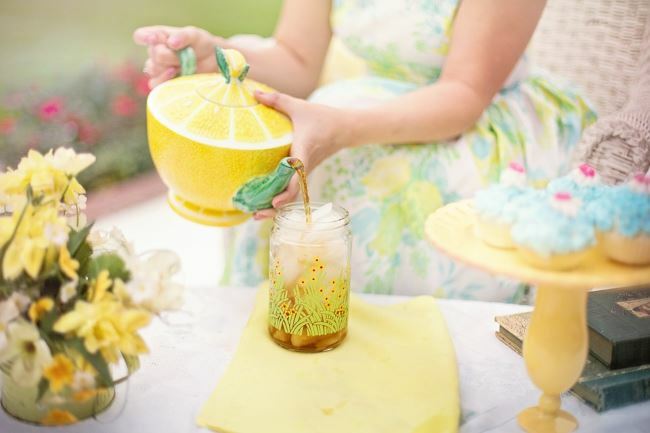 We’ve found tearooms that specialize in parties for children, as well as services that will come to your location in Maryland. Your child and her guests will feel so grown up. Scroll to the bottom of the page to learn tea ceremony customs from around the world. When we think of tea parties, we typically conjure images of fancy English ladies in stiff Victorian garb drinking Earl Grey from delicate china cups. However, England isn’t the only country that drinks this beverage. Below, learn about the ceremonies, customs and traditions from countries around the world. 1. England: Let’s start with our neighbors from across the pond. In England, people enjoy high tea in the afternoon. Since dinner is served around 8pm, people need a small meal between lunch and supper. This miniature meal could consist of light fare, such as cookies and crackers, or consist of heavier foods like bread, cheese and meats. From the Royal Family to the family next door, high tea transcends all of British culture. 2. China: The tealeaf is believed to have been discovered in China, and it has been a staple beverage in the country for centuries. The Chinese also incorporate tea into medicine, as it is believed to have medicinal properties and promote wellness. 3. Japan: Tea was introduced to Japan sometime in the 9th century. Japan is known for its green tea, called matcha. In Japan, people celebrate special tea ceremonies with varying degrees of formality. These ceremonies are more than just meals. The person serving the tea performs a series of complex rituals, called temae, from brewing the kettle to serving their guests. 5. Tibet: Po-cha is the name of Tibet’s ceremony. Served with yak butter or milk, it is drunk in small sips to full appreciate the flavor and quality. 6. India: This subcontinent is the land of chai. A type of black tealeaf, this vibrant drink is best served with creamy milk, which serves to temper the beverage’s spiced notes. Other spices, including cinnamon, nutmeg, cloves, cardamom and ginger can also be added. 7. Russia: Since Russia has a mostly cold climate, this is the popular drink of choice. In the 19th century, Russians drank their tea with a sugar cube between their teeth. The tradition Russian brewing device is called a samovar. 8. Argentina: Yerba mate is the national drink of Argentina. Although it is technically a type of plant that grows on a bush, it is prepared and drunk in a similar fashion. Yerba mate can be found in nations throughout South America. 9. Taiwan: Bubble tea is a modern take on a classic beverage. Bubble tea is made by dropping balls of tapioca into iced tea. Powdered milk and sugar are added for extra sweetness. Although hailing from Taiwan, it has become a trendy beverage in many Western countries as well. Now that you’ve learned the history and culture of tea parties throughout the world, don’t you want to host your own? One of the best aspects of these ceremonies are that they are all social occasions where friends and family enjoy each other’s company over a delicious beverage. KidsParties.Party can connect you with services and venues that offer parties for children. Simply visit the homepage, choose your state, and find services in your area of Maryland. Lastly, be sure to enjoy your tea! If you love hearing about traditions from around the world, you will love the ones we have collected from countries and cultures all over. Did you get your tea party invitations yet? There's no need to buy them! We have a completely free software you can use to customize your own invites. We even have a tea party themed-invitation! Check it out and add your personal touch. You can even use our blank template to design your very own. Are you an entertainer or kids party business? We would love to get you listed! Click here to get started.